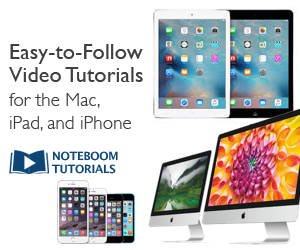 A few years ago, I released one of the first video training courses for the iPad. Since then, more than 1,000 students have chosen this convenient online course to improve their iPad skills. (Thanks everyone!) However, the course delivery system I designed and built back then is showing its age. Compared to course designs available today, my old registration and delivery system feels clunky. So I moved my video lessons to a new platform. This new format is better looking, easier to navigate and shows what’s possible with today’s course design tools. I’ll have more to say later about how I built this new version. Meanwhile, I invite you to give it a look and save a few dollars. Use this coupon code to take $10 off the registration. You’ll get a full year of access to all the videos. Discover dozens of tips to make your iPad more functional and more fun. Perhaps you’re beyond the basics? (Better visit the class and check the list of videos to be sure. The coupon code link will take you there.) Then please share the coupon link with friends, family and coworkers who might need or want help improving their iPad skills. But don’t delay! This offer will expire soon.